My guest this week for Women’s Radio Station was one of our Charity Ambassadors Paul Isaacs. Paul is an autistic trainer, speaker, consultant and blogger. He has co-authored several books including Life through a Kaleidoscope and Living through the Haze. Paul has released and published five books on the subject of autism published by Chipmunka Publishing and has contributed to other books too. Having overcome many challenges to achieve the success that he now enjoys, Paul’s message is that autism is a complex mix of ability and disability. He firmly believes that every autistic person should have the opportunity to reach their potential and be regarded as a valued member of society. 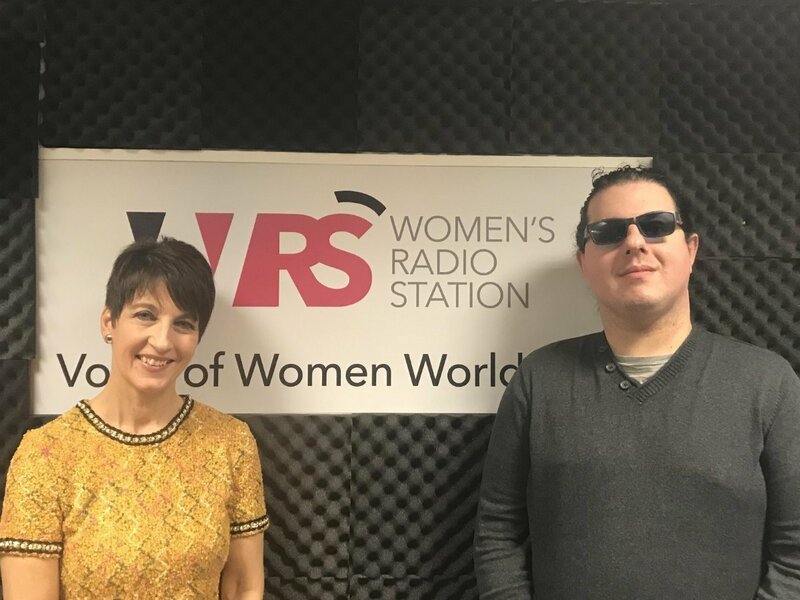 Paul shares: ‘Yesterday I spoke to Anna Kennedy at Women’s Radio Station in London and the first question she asked was the road to being diagnosed on the autism spectrum. Autism is a complex mix of ability and disability. ‘In 2007, I was sent to the local mental health team in which I was misdiagnosed with “Aspergers traits with a complex personality”. I found out later looking through my medical records during this period that I was diagnosed with schizotypal and borderline personality disorders. I was also suffering at this point in time from psychosis and auditory hallucinations. ‘In 2010 I was diagnosed formally with autism and OCD by a psychiatrist. The key to this process was the caring and connecting nature in which he allowed myself and my parents to talk about the difficult and challenging aspects of my past which included current difficulties with professionalism and humility. ‘Anna went on to talk about what the educational system was like for me. I was born in 1986 and went through mainstream education to which many problems arose. It was more to do with the the frame of reference the teachers had rather than them doing me deliberate harm. Everything was distorted, fragmented both visually and from a language perspective. ‘People making phonic noises at one another, shapeless form, less people, near and far, here nor there. I was hyperactive and didn’t seem to the connect with the world around me. If I had been diagnosed at this point it would have been of classic autism due to higher levels of visual-verbal processing challenges, language processing disorder and expressive communication challenges. ‘I found solace in water to which I was fascinated by and flushing toilets looking at the flow of water in amazement getting lost in it, becoming it and not wanting on a subconscious level to let go. It was a friend of sorts – always there when I needed him. ‘Anna followed on by asking me about how my parents coped what with what they have done to help me despite not having a formal diagnosis at this time. Headteachers at primary school had noted behavioural issues, such as being shy and difficulties with handwriting and using a pen. My parents, all through my primary and secondary school, did not find solutions from these meetings because it was always “Paul cannot…” – with no alternative being put in its place. Autism can be likened to a salad. ‘Anna asked about my tinted lenses and what the function of them are. They help me bring coherence to the world around me binding it together; without them everything becomes shattered and all the pieces do not come together. Around 70–90% of information is visual so if you think about how much one takes in through that one sense and if in my case the inability to perceive faces, objects, places etc. It is a great aid for me to not only walk around the visual world but be able to hand the incoming information and store it in a more calmly fashion. ‘Anna finally talked about the “autism fruit salad”. I explained to her about the late Donna Williams a lady on the autism spectrum who will be greatly missed because she touched so many people’s lives in profound and brilliant ways. Around 70–90% of information is visual. ‘Donna was a trailblazer and in many ways ahead of her time while other people are being militant about what autism “is” and “isn’t”. The fruit salad explains that autism is a patchwork quilt of differing factors such as information processing, identity and personality, mental health, learning styles and environmental factors. Dr Anna Kennedy, OBE is an educator who has worked to provide an improved education and other facilities for children with autism spectrum disorders.